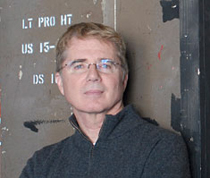 Rich Rose teaches in the area of scenic design for the stage. Related courses include Introductory and Advanced Scenic Design, Drafting, Scenic Sketching and Rendering, and Computer Aided Drafting. Rose is also the author of books on computer-aided design, drafting and sketching for the stage. As the resident scenic designer at the award-winning Back Alley Theater for several years, Rose designed numerous productions for artistic directors Alan Miller and Laura Zucker (former L.A. County Arts Commissioner) including Jacques Brel is Alive and Well and Living in Paris; Ringers; The Fox; In the Sweet Bye and Bye, starring Rue McLanahan; Days and Nights Within; and Found a Peanut, for which he received DramaLogue and L.A. Weekly awards for scenic design. Recent scenic designs include Lainie Kazan presents The Great American Songbook; the La Mirada Theatre for the Performing Arts productions of American Idiot (BroadwayWorld nomination, Best Scenic Design; L.A. Stage Scene Award, Best Production Design; L.A. Stage Scene Award, Outstanding Scenic Designer); Floyd Collins (BroadwayWorld nomination, Best Scenic Design) and Spring Awakening; the Mosaic Lizard Theater productions of Robin Hood and A Spider-Man Christmas; the national tours of In the Heat of the Night, Judgment at Nuremberg, The Mountaintop, and Steel Magnolias for L.A. Theatre Works. For Actors Co-op at the David Schall Theatre in Hollywood, Rose designed the scenery for the critically acclaimed productions of The Baker’s Wife, Summer and Smoke (Los Angeles Times Critics Choice) Our Town and A Man for All Seasons. Current designs include Other Desert Cities and The Chalk Garden at Will Geer’s Theatricum Botanicum in Los Angeles, and Rabbit Hole for The Guangzhou Dramatic Arts Centre in Guangzhou, China.